If you don't own a Bluetooth speaker, you probably question all of your life choices every time you play a Rihanna song on your phone. But life doesn't have to be that way. You could feel like an electronics genius if you buy the OontZ Angle 3 Portable Bluetooth Speaker for $24.99. Yes, that's OontZ as in "oontz oonz oonz" of beatboxing fame. This miracle speaker plays Rihanna the way she's meant to be heard—with crystal clear quality and lots of style. Don't believe me? Believe the literally THOUSANDS of people who have bought and freakin' love it. 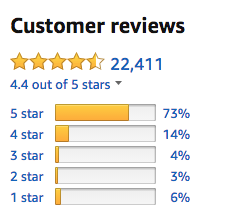 I'm no mathematician, but my phone calculator tells me that more than 16,000 people have slapped it with a five-star review on Amazon! 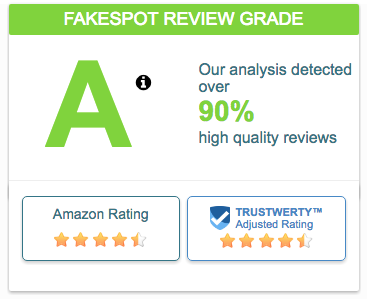 And those reviews are legit; Fakespot gives the Oontz speaker an A, meaning basically all of them are the real deal. So what are these real reviewers saying? Oh, only that it still works after being RUN OVER TWICE. Look at the carnage that it survived, like a phoenix rising from the ashes!!! "If you're looking for an inexpensive Bluetooth speaker that puts out great sound, look no further!! This thing ROCKS!! The overall sound quality that comes out of this tiny speaker is shocking! I'm so impressed and satisfied that I'm considering buying additional units for our guest bedrooms so each guest can listen to whatever they choose. Anyway, I've never owned or heard any of the higher priced Bluetooth speakers (like Beats, Bose, JBL, etc.) but I am completely satisfied with the quality of this product and would buy it again in a heartbeat!" — Bill E.
Oh, and yes, its safe for all to use. Don't keep disrespecting Rihanna. Buy yourself a speaker. Hell, buy 10 speakers. It's what Rih would do.